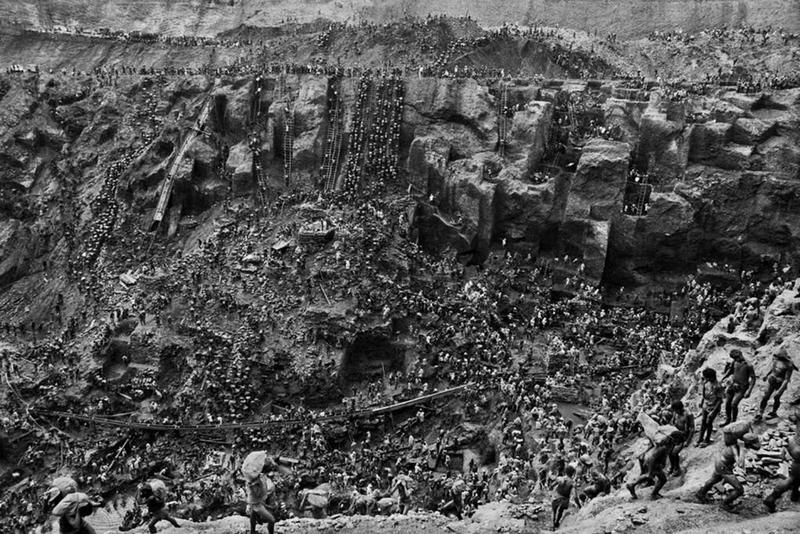 Serra Pelada was a large gold mine 270 miles (430km) south of the mouth of the Amazon River in Brazil. In 1979, a local child swimming on the banks of a local river found a 6-gram nugget of gold. Story of the discovery travelled fast and by the end of the week a gold rush had started. 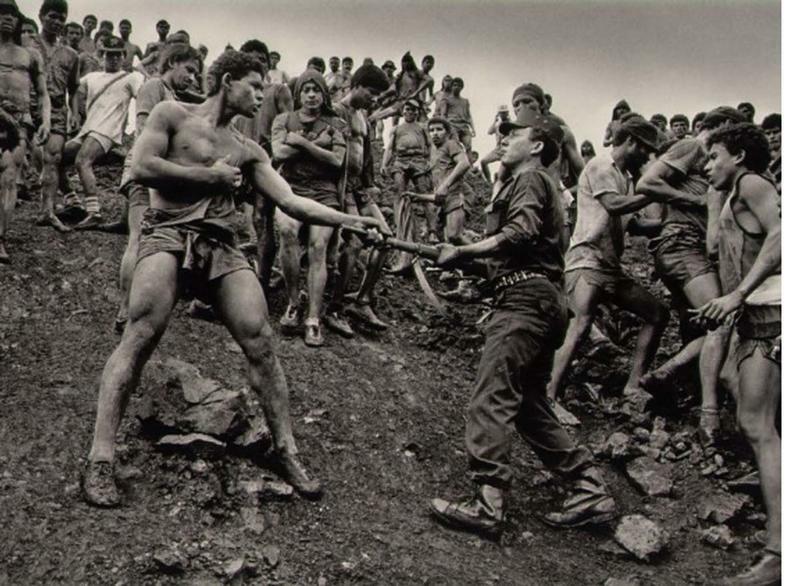 During the early 1980s, thousands of gold prospectors flocked to the Serra Pelada site, which at its peak was considered not only the world's largest open-air gold mine, but also the most violent. “Every hair on my body stood on edge. The Pyramids, the history of mankind unfolded. I had traveled to the dawn of time”. The site was located in a remote site in Brazil that the only way to get there was by plane or foot. 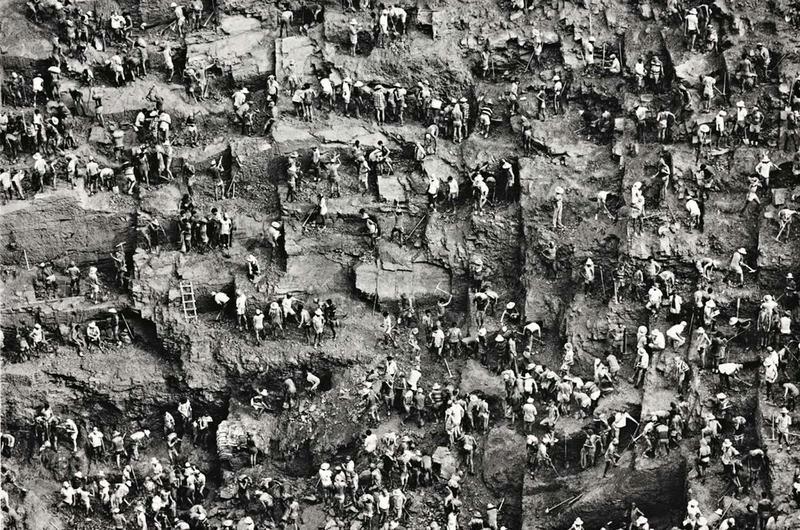 Miners would pay exorbitant prices to have taxis drive them from the nearest town to the end of a dirt track; from there, they would then have to walk 9.3 miles (15 km) more to the site. Huge gold nuggets were quickly discovered, the biggest weighing about 6.8 kilograms (15 lb), which was valued $108,000 at the time (about $310,173 in 2016). 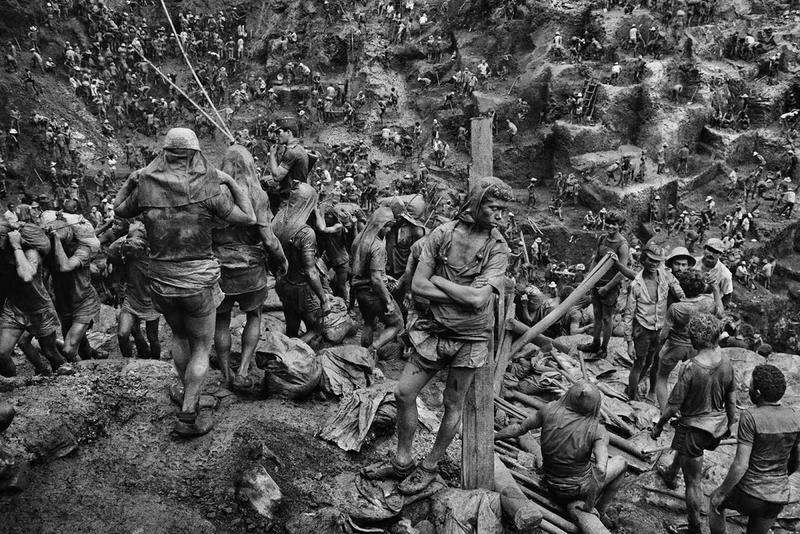 During the peak of the gold rush the Serra Pelada mine was notorious for its appalling conditions and violence; the town that grew up beside it was known for both murder and prostitution. 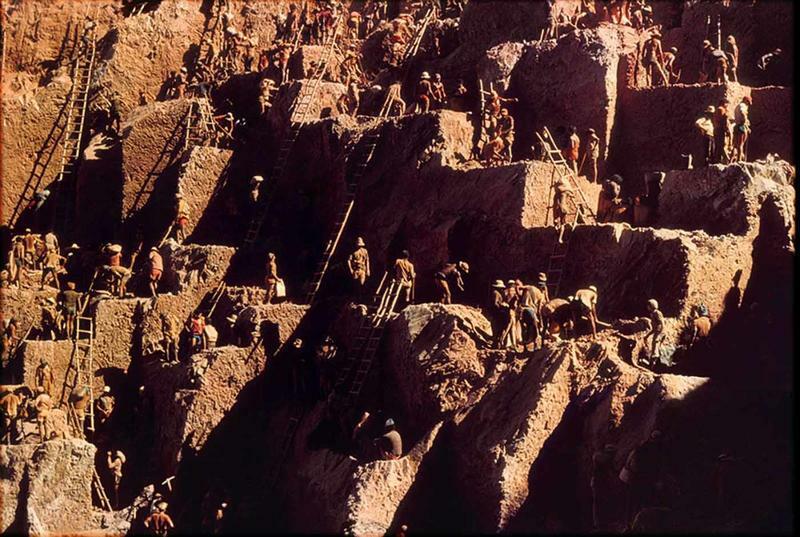 Each miner was assigned a 2mx2m area and would just dig down because that’s all they could do. This became a safety hazard because they didn’t know if the person assigned to the 2mx2m area next to them was still alive and digging down on their lot. 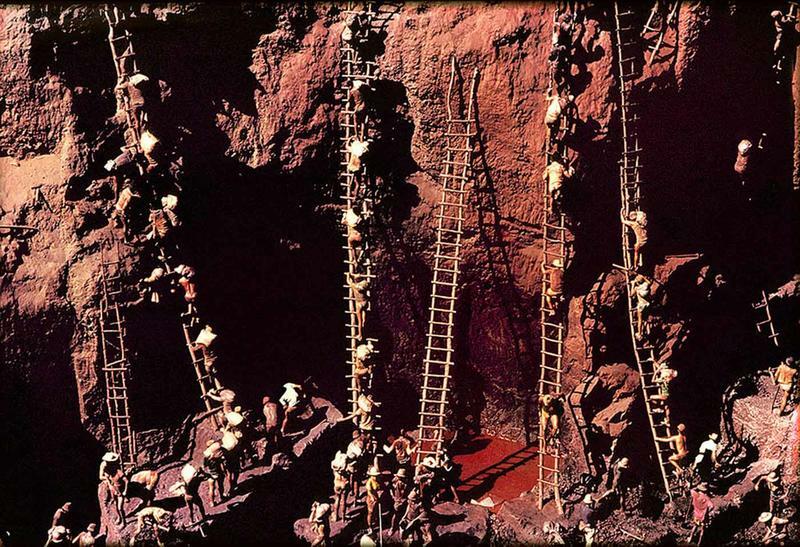 If they weren’t digging, then all the block around them would go deeper until that person's block would eventually collapse, killing workers it collapsed on. 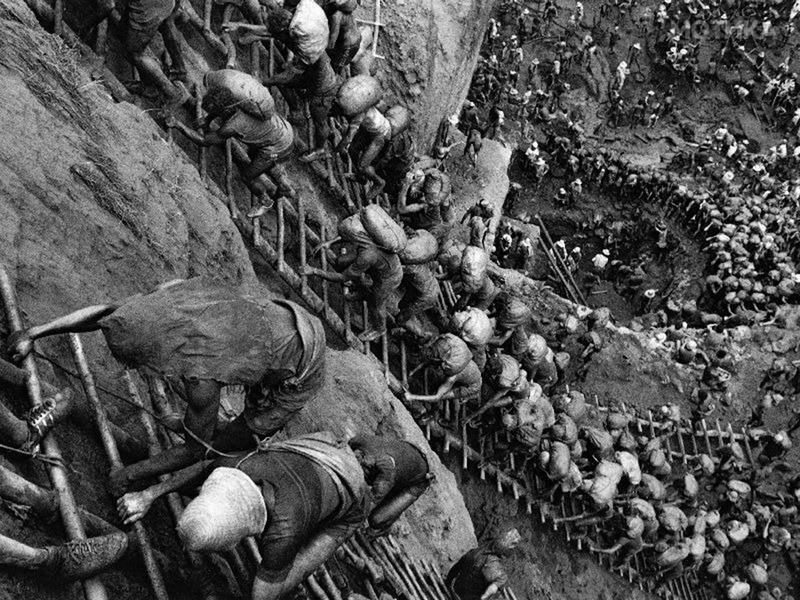 During its peak, there were about 100,000 diggers or garimpeiros working in appalling conditions, where violence, death and prostitution was rampant. 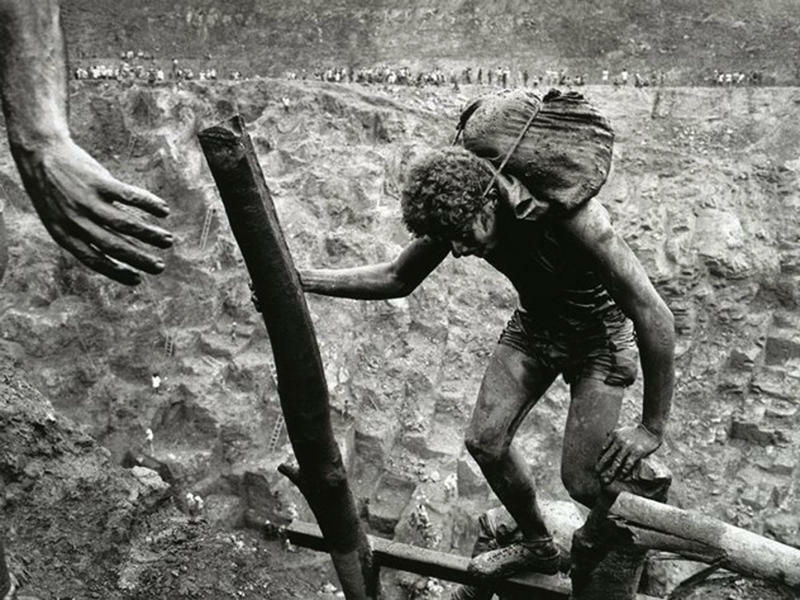 The diggers would scratch through the soil at the bottom of the open pit, put it into the sacks each weighing between 30 to 60 kilograms, and then carry them up some 400 meters of wood and rope ladders to the top of the mine, where it is then sifted for gold. 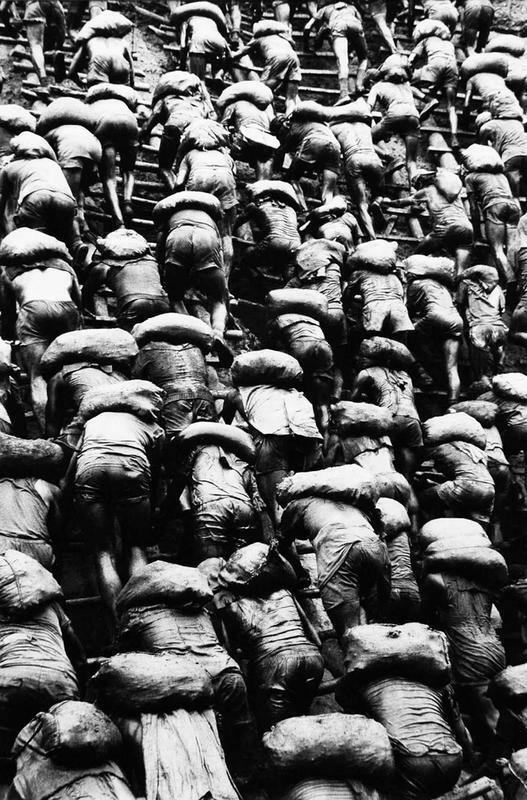 On average, each worker is paid 20 cents for digging and carrying each sack, with a bonus if gold was discovered. 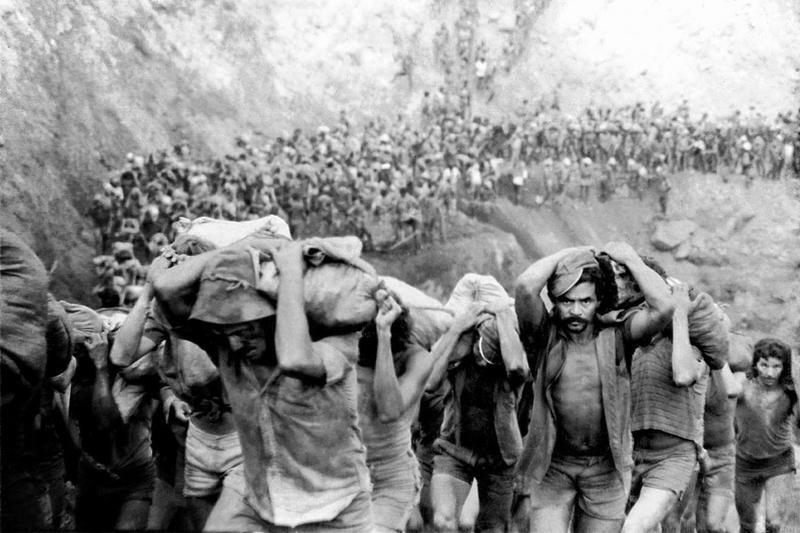 To prevent exploitation of the workers and stop conflict between miners and owners, the Brazilian military took over operations, three months after the gold’s discovery. Before the military takeover basic commodities were sold at shockingly high prices by the mine owners; water cost $3 a litre ($8.62 in 2016). The government agreed to buy all the gold the diggers found for 75% of the London Metal Exchange price. Officially just under 45 tons of gold was identified. 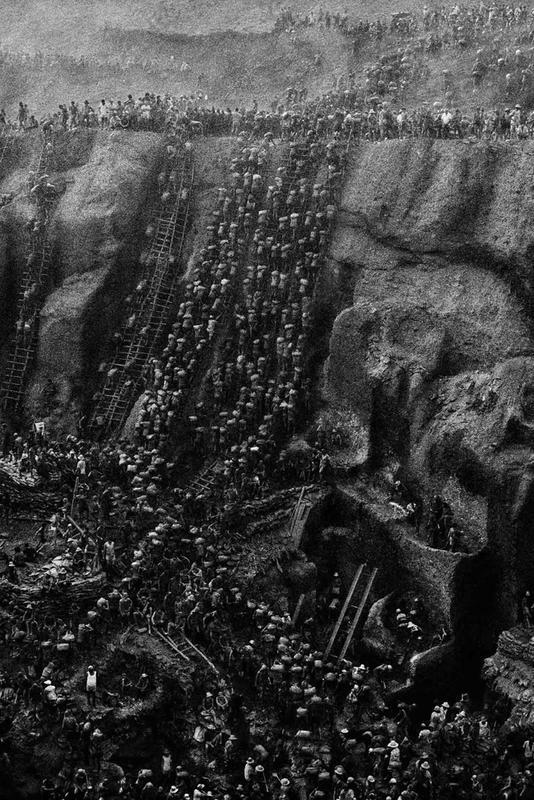 But it was said that as much as 90% of all the gold found at Serra Pelada was smuggled away. Using today’s prices that's about 1.5 billion dollars. While the government banned women and alcohol at the actual site, the nearby town became a town of “stores and whores”. Thousands of young, underage girls prostituted themselves for gold flakes and nuggets while around 60 – 80 unsolved murders occurred in the town every month.